The Detroit Tigers visit Coors Field on Monday, August 28, 2017 to play the Colorado Rockies. The probable starters are Jordan Zimmermann for the Tigers and Antonio Senzatela for the Rockies. The opening line for this matchup has Detroit at +151 and Colorado at -161. The Tigers have a 69-53-6 over/under record and a 60-68-0 run line mark. The Rockies are 66-63-0 against the run line and have a 53-70-6 over/under record. The Tigers have a 56-72 overall record this season. Starting pitcher Jordan Zimmermann has a 7-11 record with an earned run average of 6.11 and a WHIP of 1.54. He has 91 strikeouts over his 140 innings pitched and he's given up 174 hits. He allows 11.2 hits per 9 innings and he has a FIP of 5.46. The bullpen has an earned run average of 5.34 and they have given up 416 base hits on the year. Teams are hitting .267 against the bullpen and they've struck out 356 hitters and walked 177 batters. As a team, Detroit allows 9.7 hits per nine innings while striking out 7.6 batters per nine innings. They are 29th in the league in team earned run average at 5.11. The Tigers pitchers collectively have given up 1,211 base hits and 639 earned runs. They have allowed 172 home runs this season, ranking them 10th in the league. Detroit as a pitching staff has walked 421 batters and struck out 950. They have walked 3.4 men per 9 innings while striking out 7.6 per 9. They have a team WHIP of 1.45 and their FIP as a unit is 4.68. As a team Detroit is hitting .260, good for 10th in the league. The Tigers hold a .429 team slugging percentage and an on-base percentage of .330, which is good for 12th in baseball. They rank 10th in MLB with 8.9 hits per game. Nicholas Castellanos is hitting .246 with an on-base percentage of .304. He has 118 hits this season in 480 at bats with 72 runs batted in. He has a slugging percentage of .444 and an OPS+ of 96. Justin Upton is hitting .282 this year and he has an on-base percentage of .366. He has totaled 125 hits and he has driven in 93 men in 443 at bats. His OPS+ is 140 while his slugging percentage is at .553. 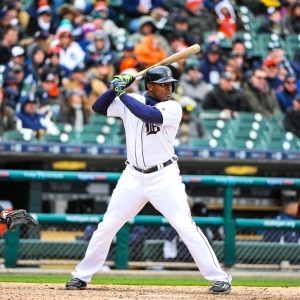 The Tigers have 1,139 hits, including 237 doubles and 152 home runs. Detroit has walked 430 times so far this season and they have struck out 1,044 times as a unit. They have left 886 men on base and have a team OPS of .759. They score 4.8 runs per contest and have scored a total of 614 runs this year. Colorado has a 70-59 overall mark this year. With an earned run average of 4.52, Antonio Senzatela has a 10-4 record and a 1.27 WHIP. He has 91 strikeouts over the 121.1 innings he's pitched. He's also given up 114 hits. He allows 8.5 hits per nine innings and his FIP stands at 4.64. The bullpen has an earned run average of 4.53 and they have given up 419 base hits on the year. Teams are hitting .254 against the Rockies bullpen. Their relievers have struck out 418 batters and walked 166 opposing hitters. As a team, Colorado allows 9.1 hits per nine innings while striking out 7.8 batters per nine innings. They are 21st in the league in team earned run average at 4.65. The Rockies pitchers as a team have surrendered 1,164 base knocks and 592 earned runs this season. They have given up 161 home runs this year, which ranks 14th in Major League Baseball. Colorado as a staff has walked 433 hitters and struck out 997 batters. They give up a walk 3.4 times per 9 innings while they strike out 7.8 per 9. Their team WHIP is 1.39 while their FIP as a staff is 4.46. As a team, they are batting .274, good for 2nd in the league. The Rockies hold a .445 team slugging percentage and an on-base percentage of .336, which is good for 5th in baseball. They rank 2nd in MLB with 9.4 hits per contest. Nolan Arenado comes into this matchup batting .311 with an OBP of .366. He has 154 hits this year along with 108 RBI in 495 AB's. He maintains a slugging percentage of .594 with an OPS+ of 130. Charlie Blackmon is hitting .335 this season and he has an OBP of .397. He has collected 175 hits in 522 at bats while driving in 82 runs. He has an OPS+ of 145 and a slugging percentage of .621. The Rockies as a unit have 1,209 base hits, including 233 doubles and 155 homers. Colorado has walked 395 times this year and they have struck out on 1,126 occasions. They have had 847 men left on base and have an OPS of .781. They have scored 5.16 runs per game and totaled 666 runs this season. Who will win tonight's Tigers/Rockies MLB game against the spread?